Nicollet County (pop. 32,727) is just east of Brown County. 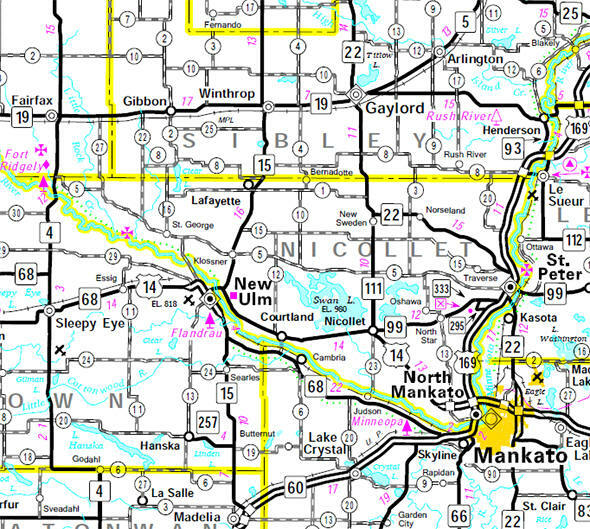 The Minnesota River is Nicollet County’s southern boundary; the river turns north at Mankato and becomes the county’s eastern boundary. The county seat is St. Peter (pop. 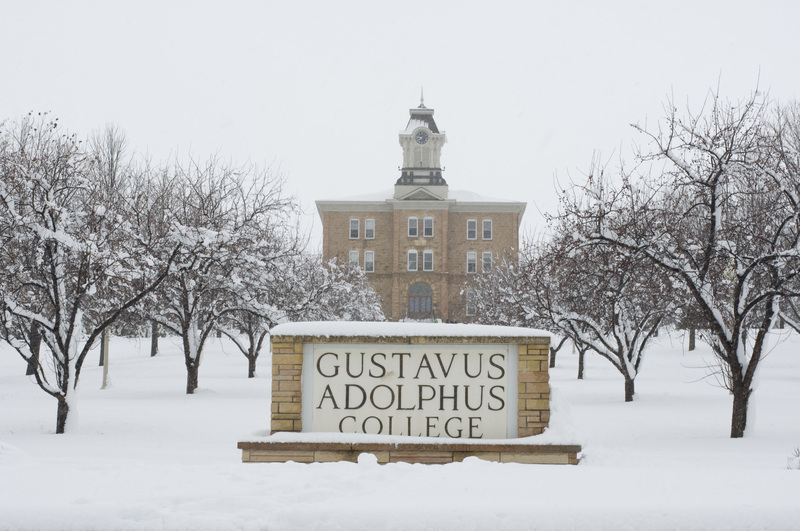 32,727), home of the Lutheran-affiliated Gustavus Adolphus College (1862). Five governors of Minnesota were from St. Peter; they all served between 1853 and 1909. The Nicollet County Bank (1887) is on the corner. The Nicollet County Courthouse was built in 1881. A tornado on March 29, 1998, killed one person and injured many others in St. Peter. In the town of North Mankato (pop. 13,394), the old North Mankato Public School building (1890) has been turned into the Belltower Apartments.